“The publication of CREDENCE delivers critical new evidence in the understanding of chronic kidney disease caused by type 2 diabetes. We are extremely proud to support developments like this, that ultimately help to move medicine forward” said Hywel Day, Managaing Director Napp Pharmaceuticals Ltd.
Napp Pharmaceuticals Limited is a UK pharmaceutical company established in the 1920’s and based in the heart of the Cambridge science community. Focused principally in the areas of diabetes, respiratory, cancer, arthritis and gastroenterology, we have worked side by side with the NHS since its inception. As the UK healthcare environment has evolved, so has Napp, ensuring we have the right expertise to mirror what the NHS needs from us, understanding NHS priorities and what influences and drives decision-making. We are part of a worldwide network of independent companies, which gives us the flexibility to make locally driven decisions quickly. We have developed our working practices to ensure we can be agile, and act fast and efficiently, in order to help our partners deliver sustainable healthcare solutions that ultimately improve patient outcomes. We aim to bring value-added medicines to the NHS by building effective partnerships. 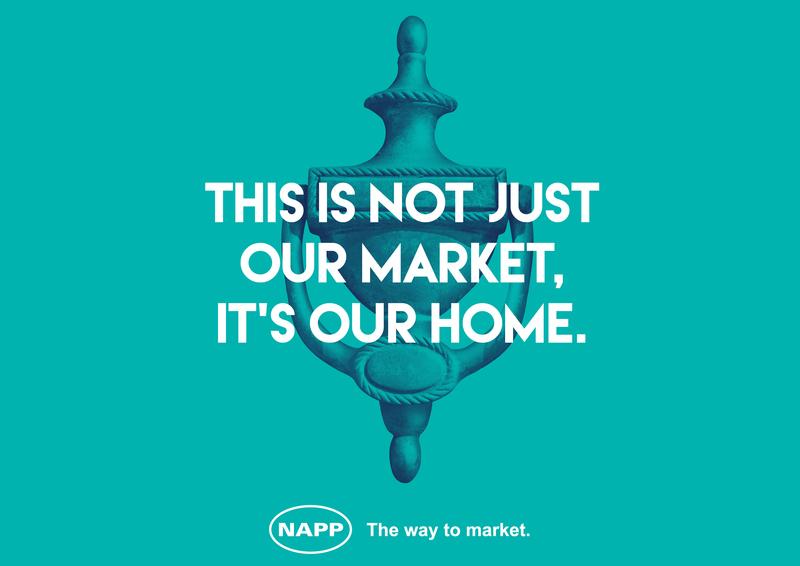 This is innate in the way we work because we are a partnership-based organisation, placing it at the heart of everything we do and every relationship, from our wholesale distributors to NHS decision-makers. We are extremely proud of our heritage in partnership working, which is centred around building and developing mutually beneficial, enduring partnerships that are open and based on respect – this is how we have built our reputation as a partner of choice. Diabetes UK. Us, diabetes and a lot of facts and stats. Available at: https://www.diabetes.org.uk/resources-s3/2019-02/1362B_Facts%20and%20stats%20Update%20Jan%202019_LOW%20RES_EXTERNAL.pdf. Last accessed: April 2019. Diabetes UK. 2019. Kidney disease (nephropathy). Available at: https://www.diabetes.org.uk/guide-to-diabetes/complications/kidneys_nephropathy. Last accessed: April 2019. Update to International Diabetes Federation, 2016, Complications of Diabetes [Online] Available at: https://www.idf.org/aboutdiabetes/what-is-diabetes/complications.htmlLast accessed April 2019. Phase 3 CREDENCE Renal Outcomes Trial of INVOKANA® (canagliflozin) is Being Stopped Early for Positive Efficacy Findings. Available at: https://www.janssen.com/phase-3-credence-renal-outcomes-trial-invokanar-canagliflozin-being-stopped-early-positive-efficacy. Last accessed April 2019.
gov. 2014. Evaluation of the Effects of Canagliflozin on Renal and Cardiovascular Outcomes in Participants With Diabetic Nephropathy (CREDENCE). Available at: https://clinicaltrials.gov/ct2/show/NCT02065791. Last accessed: April 2019. 2018. SmPC. Invokana 100 mg and 300 mg film-coated tablets. Available at: https://www.medicines.org.uk/emc/product/8855#INDICATIONS. Last accessed: April 2019. Gordois, A., et al. The health care costs of diabetic nephropathy in the United States and the United Kingdom. J Diabetes Complications. 2004 Jan-Feb;18(1):18-26. Kidney Care UK. Diabetes. Available at: https://www.kidneycareuk.org/about-kidney-health/conditions/diabetes/. Last accessed: April 2019. Pálsson, R and Patel, UD. Cardiovascular Complications of Diabetic Kidney Disease. Adv Chronic Kidney Dis. 2014 May; 21(3): 273–280. Afkarian, M., et al. Kidney Disease and Increased Mortality Risk in Type 2 Diabetes. J Am Soc Nephrol. 2013;24: 302–308. doi: 10.1681/ASN.2012070718. co.uk. 2017. Invokana (Canagliflozin). Available at: http://www.diabetes.co.uk/diabetes-medication/invokana-canagliflozin.html. Last Accessed: April 2019. European Medicines Agency. 2013. EPAR Summary for the Public: Invokana canagliflozin. Available at: http://www.ema.europa.eu/docs/en_GB/document_library/EPAR_-_Summary_for_the_public/human/002649/WC500156455.pdf. Last Accessed: April 2019. Canagliflozin Phase 3 Clinical Trial Programme. Available at: https://www.janssen.com/emea/sites/www_janssen_com_emea/files/canagliflozin_phase_3_backgrounder_2014_08_13_final.pdf. Last accessed: April 2019.
co.uk. 2019. Type 2 Diabetes. Available at: http://www.diabetes.co.uk/type2-diabetes.html. Last accessed: April 2019.
co.uk. 2019. Diabetes and obesity. Available at: https://www.diabetes.co.uk/diabetes-and-obesity.html. Last accessed: April 2019.